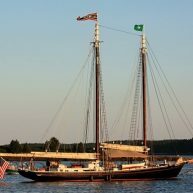 What could be finer than great food on board a magnificent sailing schooner in Penobscot Bay or a river boat tour with an oyster tasting? 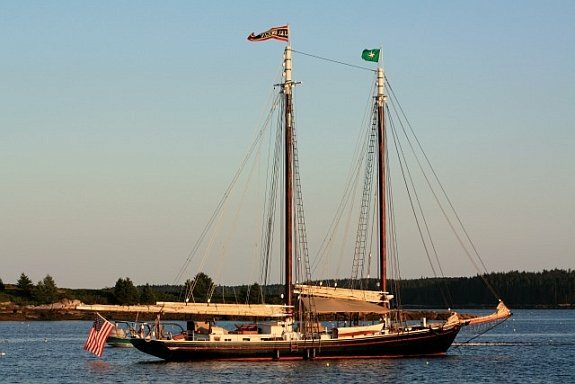 Maine’s schooner fleet has always been renowned for its food with several boats boasting true cuisine fit for the most discerning foodie. 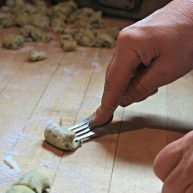 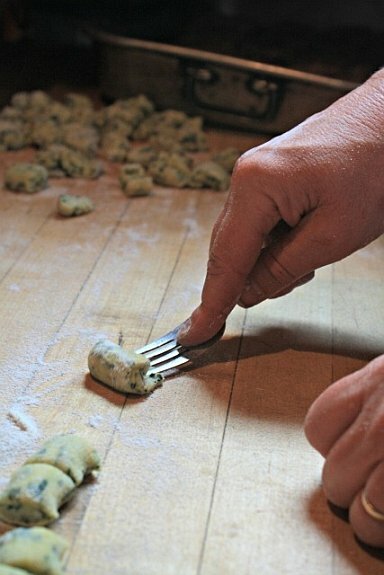 On the J&E Riggin, Chef Annie Mahle has honed her craft with both knife and pen. 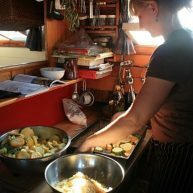 Her first cookbook titled At Home, At Sea, was highlighted on the Today Show and her food has been featured in dozens of national media outlets including the Food Network and Bon Appetit Magazine. 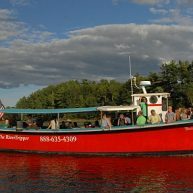 The wonderful menu adds to the historic feel of the cruise, and much of what is offered comes from local farms and Annie’s ever expanding garden. 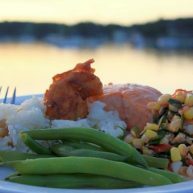 Beginning with the highest quality and freshest ingredients allows for simple yet elegant meals that are both healthy and charming. 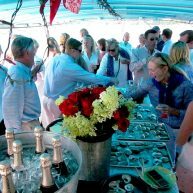 The newly rebuilt Ladona takes dining to a new level on board. 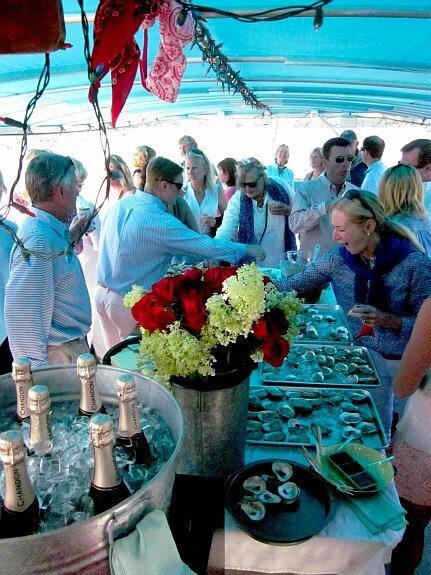 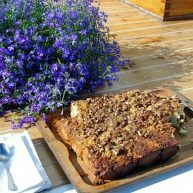 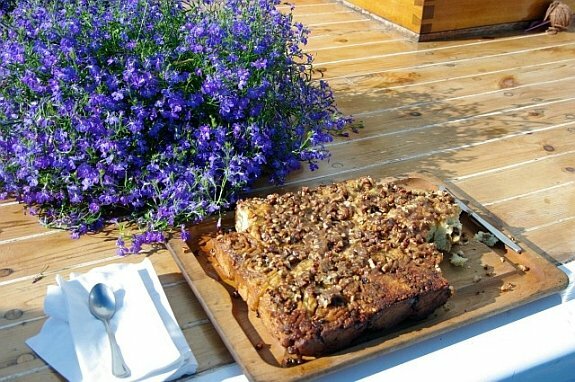 The food on Ladona reflects the restrained decadence and pure aesthetic of sailing in Maine. 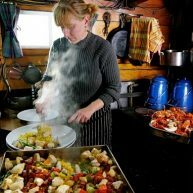 Produce is fresh, local and carefully prepared. 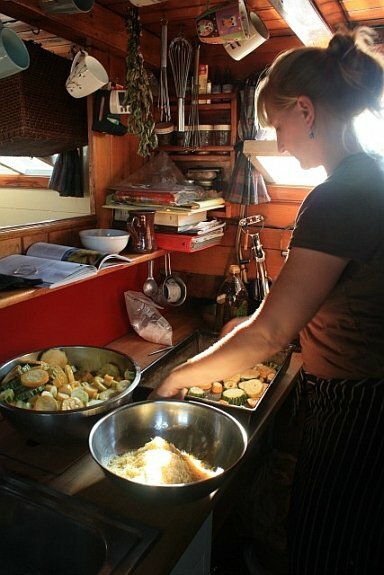 Applying their professional expertise and personal style, Captain Noah and Jane Barnes transformed their beloved Stephen Taber’s traditional classic comfort food to the gourmet standards of 21st century foodies and built its reputation as a food destination to the delight of many well satisfied guests. 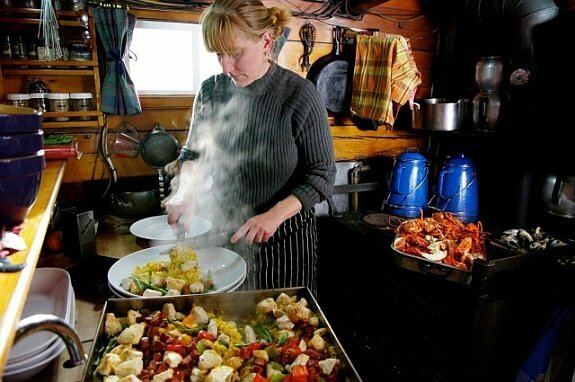 Jane has worked in the wine industry for over twenty years and enjoys selecting a white and a red for dinner each night, along with some special treats for good measure. 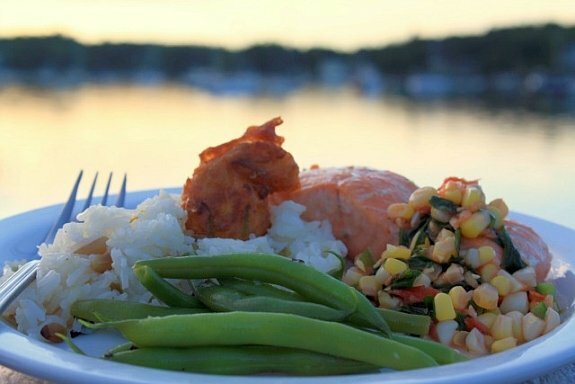 There is no question that fresh air and the nature of a voyage at sea adds flavor to the food. 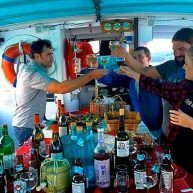 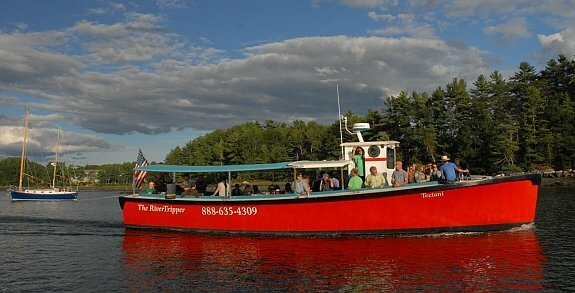 For a different experience, the River Tripper out of Damariscotta offers wine and oyster tasting and oyster as well as sake pairing cruises. 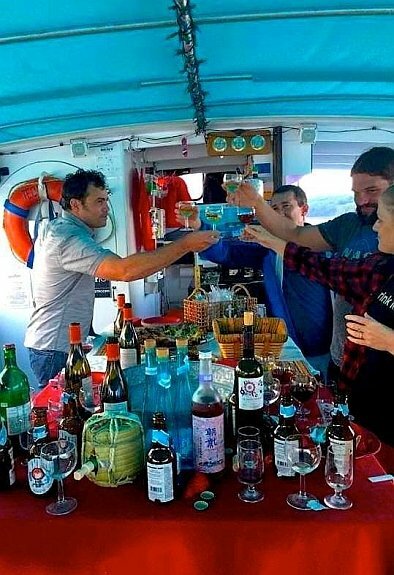 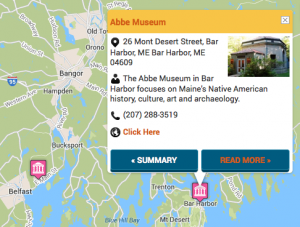 Maine food aficionados can sample half a dozen different oyster types from the Damariscotta River, ranging from the mild Norumbega oysters to the extra briny and plump Pemaquid oysters, all paired with sumptuous summer wines, bubbly, or even sake.